God is a shield whose Word can be trusted. His way is not only true, but it is also life-giving. But, we must take refuge in him if his flawless word and his perfect way are going to be blessings and his presence is going to bless us as our shield. 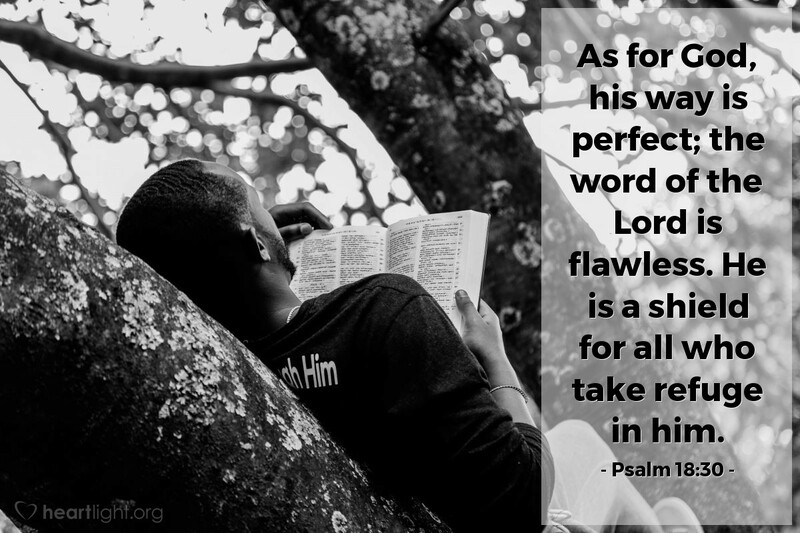 Our allegiance, reliance, and dependence must be voluntarily placed in him and lives must be committed to living by flawless word. God of our Fathers, Abraham, Isaac and Jacob, I trust my soul and future to you. You are my strength and shield. Please protect and guard me, my family, and your church from the Evil One. Please keep us physically safe, spiritually vibrant, and morally upright as we serve you this summer and seek to honor your will by obeying your Word. In Jesus' name. Amen.